Officially, the long awaited (and long overdue) Birds vs. Pigs game from Rovio is now available on the Windows Phone platform. You can download it, using the Zune software, from here. 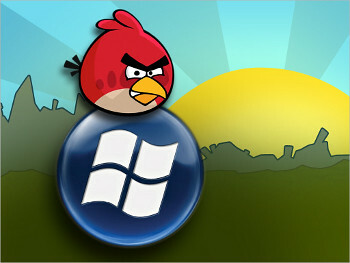 Angry Birds, the immensely popular and deceptively simple game that catapults “angry” birds at “house of cards” type structures containing a group of green pigs, has not come to Windows Phone easily.